China has a long and brilliant history. Its documented history is coherent for 3,000 years and its undocumented history is clearly inherited orally for 5,000 years. Archeological discoveries can date back its history to 7,000 years and trace all stages of human development to 50,000 years. Chinas history and culture, together with her rivers and mountains, possess infinite charm, which is also the soft power of China. 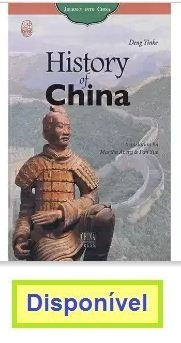 In this book the readers can go to a journey into the Chinese history, to visit the historic sites and ruins, to meet the historic figures, to feel the glory of history itself.